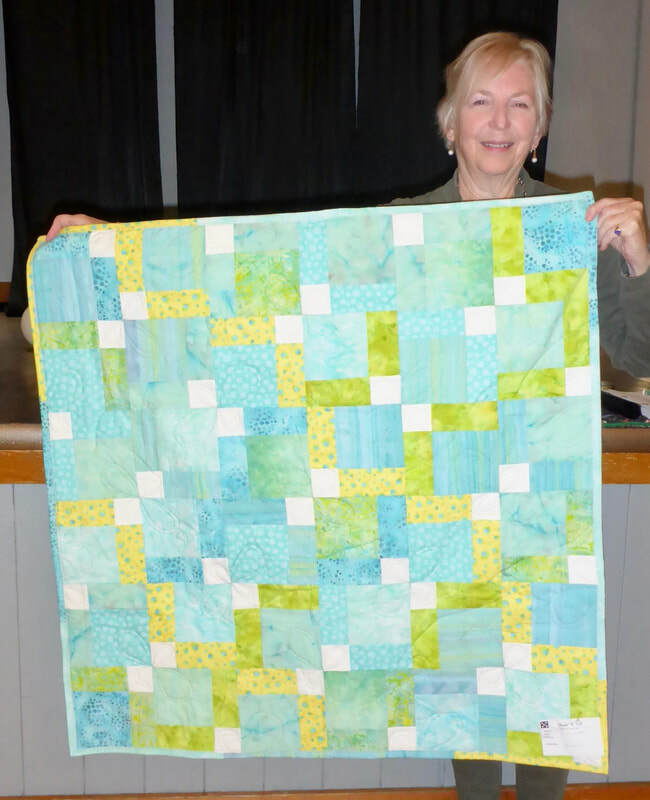 Members are encouraged to provide at least one item for donation each year. 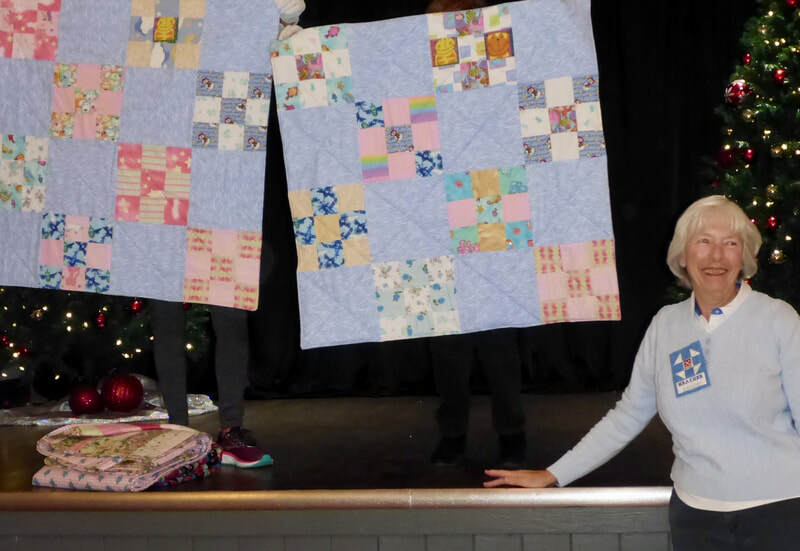 Members wanting to make a quilt for donation are advised to check with a member of the Donations Committee to see where the need is greatest and if any special projects are under way. Click on the icon to the right for more information and recommended sizes. ​Many thanks to Blair Sportswear for printing our labels. 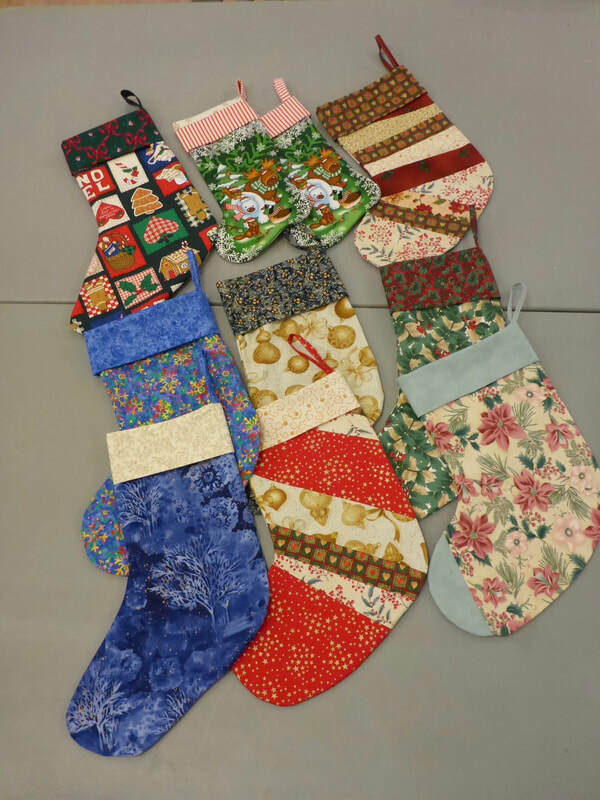 Every winter we make Christmas stockings for various community organizations. 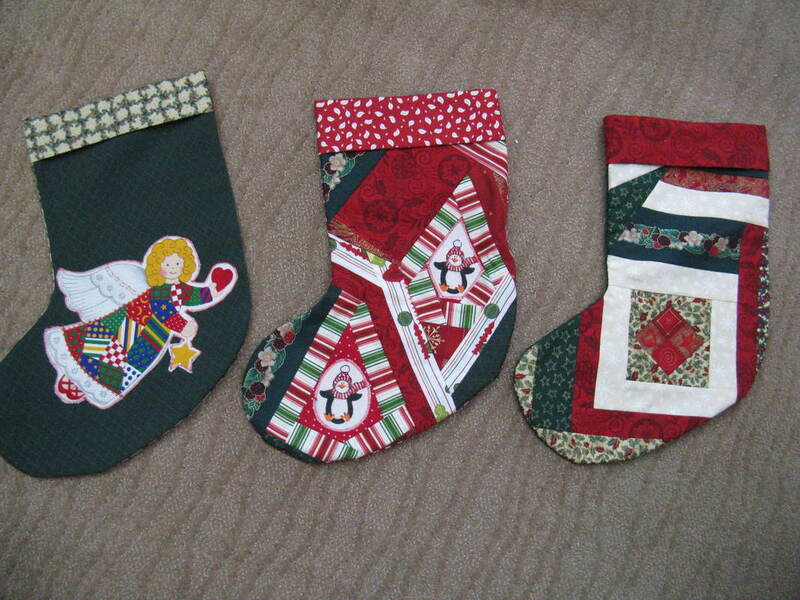 This year we will be dedicating our sewing day on November 6 to the construction of Christmas stockings. 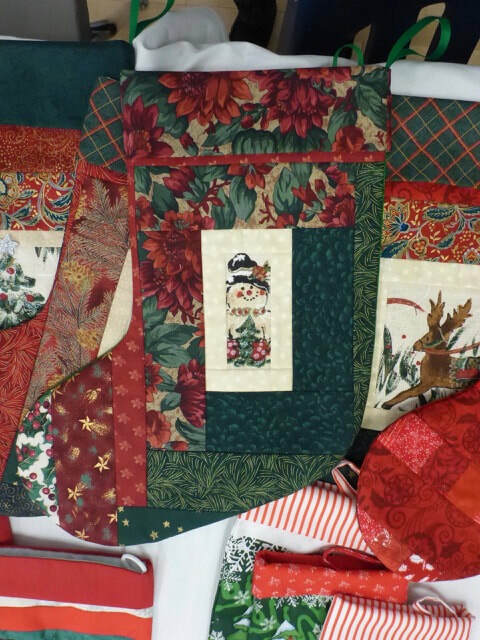 Click on the icon to the left for a printable pattern. Print on 8 1/2" x 11" paper. 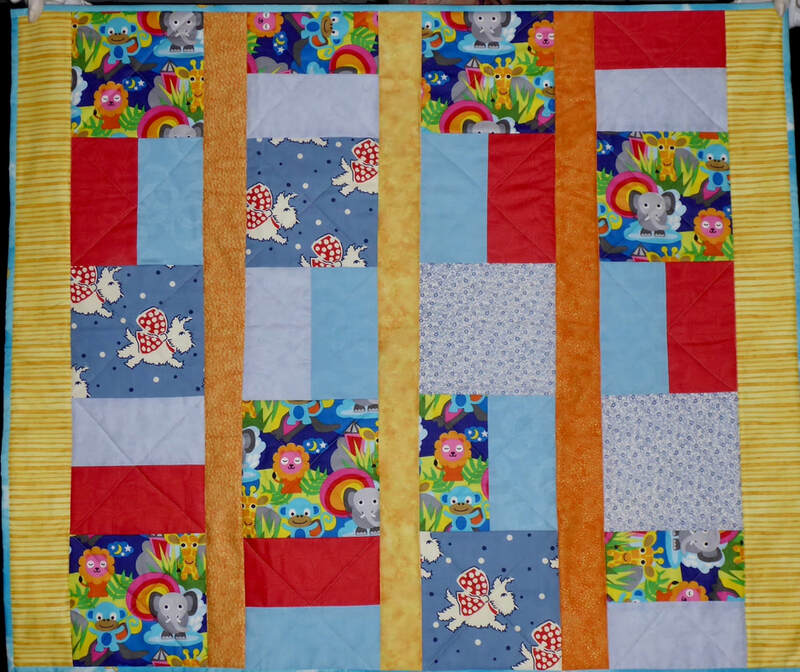 The pattern is in 3 pieces which should be joined as indicated. Note that you need to add seam allowances. In 2016-2017, we made sun hats for kids of all ages. 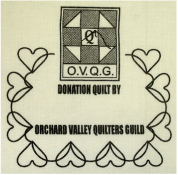 The pattern can still be found on the Members Only page.